Sangay volcano is one of the highest active volcanoes in the world and one of Ecuador's most active ones. Located isolated east of the Andean crest, with it's perfect steep cone shape and glacier-covered top, it towers majestically at 5230 m high above the Amazonian rainforest. 1934-ongoing (as of 2017), 1728-1916, 1628 (first observation) - ? A few days ago, the Geophysical Institute of Ecuador (IGEPN) declared that the latest eruption, or eruptive phase, of the volcano can now be considered to have ended. It had begun on 8 Aug 2018 and lasted approx. 4 months. 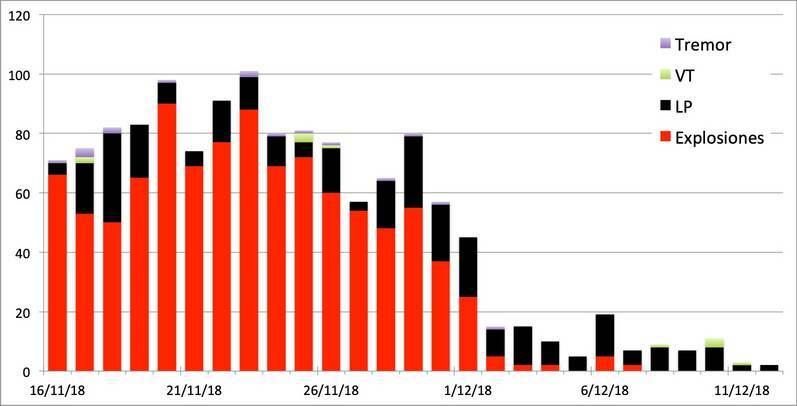 Seismic and visual eruptive activity sharply decreased since the beginning of December and ceased about 2 weeks ago. During the 4 months of continuous activity, the main phenomena associated with this period were: the emission of lava flows on the ESE flank and ash columns that were directed mainly towards the west. These volcanic phenomena did not affect significantly any populated areas (which are very sparse in the vicinity of the volcano). Only very light ash fall occurred in the city of Guayaquil on 18 Sep and caused no damage. Additionally, there was continuous emission of lava flows from a lateral vent on the upper ESE flank of the volcano. The lava flows descended to 1-2 km downhill, generating glowing avalanches and small pyroclastic flows caused by collapsing lava material on the steep flank. The pyroclastic flows reached distances of up to 7 km from the crater. 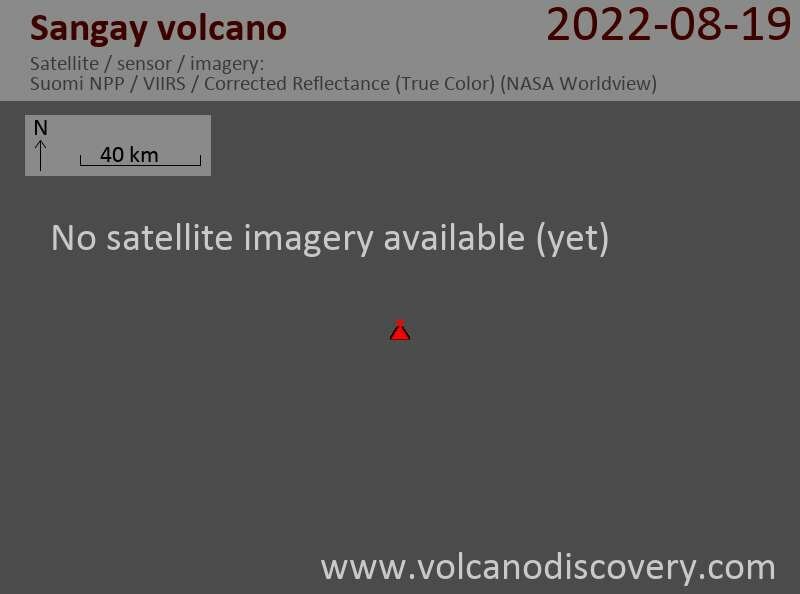 Sangay volcano Volcanic Ash Advisory: VA EM ARND 1420Z. Sangay volcano Volcanic Ash Advisory: DISCRETE VA EM. Ijen volcano photos: Ijen volcano in East Java is famous for its turquoise acid crater lake and the large sulfur deposits that are being mined by local workers. At night, the scene is illuminated by ghostly blue flames, as sulfur ignites.